During the height of the Great Depression, as banks failed, unemployment soared, and farm prices dropped, the Works Progress Administration (WPA) was established as one of President Franklin Delano Roosevelt’s New Deal projects. 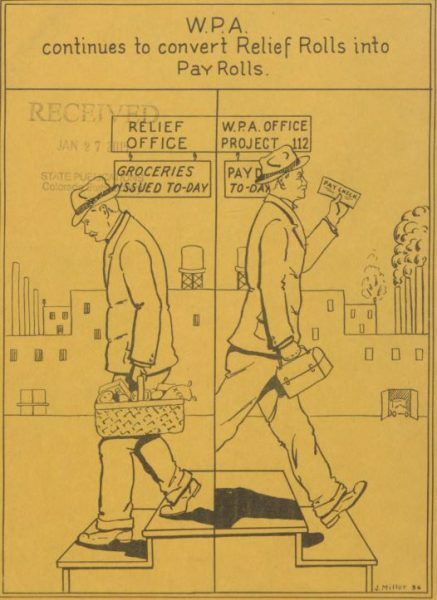 The WPA focused on creating and providing jobs rather than handing out direct relief. Most of the WPA jobs were aimed at civic improvements, such as public buildings and roads. Thousands of out-of-work artists and artisans, architects, musicians, writers, historians, and others who had previously been employed in creative or intellectual fields were given temporary work. Parks, trails, bridges, public buildings, artworks, and literary projects produced by the WPA continue to be enjoyed to this day. and my personal favorite WPA project, the incredibly detailed diorama of 1860 Denver that you can still view at the History Colorado museum. 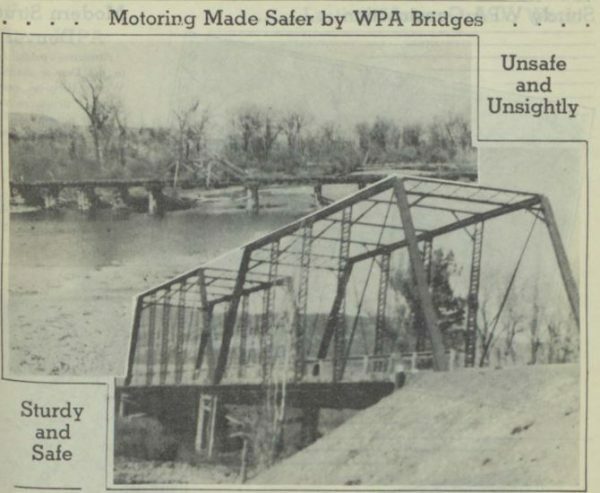 As Coloradans suffered from the effects of the Great Depression, the WPA enhanced life in every part of the state, and often undertook long overdue projects that in many cases would not have been otherwise completed. Many of the projects continue to enhance our lives today. 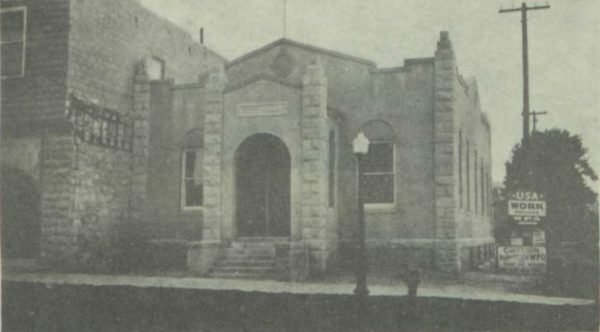 Aguilar’s city hall was constructed by the WPA. 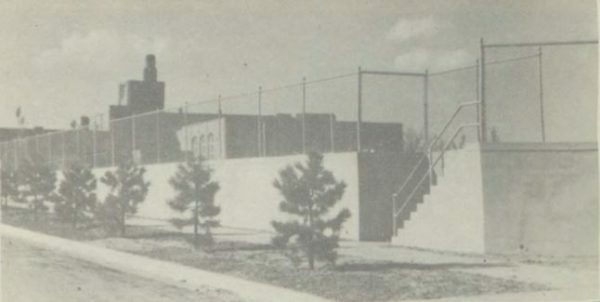 The playground at Lake Junior High in Denver was also a WPA project. Old infrastructure was replaced across the state. Next Feeling the love? We have two CSL in Session webinars this month!